At this website we present a number of perspectives that highlight the costs and risks associated with the deployment of smart grid technology. We have referred to the smart meter deployments as a waste of money and a diversion of resources from investments that could actually improve the electric grid infrastructure and harden it against physical and cyber attacks. We have highlighted consumer risks related to privacy, cybersecurity, health, and fire safety. Although commentary and analysis is offered, the great majority of information presented at this website is substantiated with published reports and peer-reviewed articles. Today we would like to highlight a peer-reviewed article published in the International Journal of Renewable Energy and Smart Grid (IJRESG), entitled, “A Specter of Logical Challenges Haunts Smart Grid.” The primary author of the article is Prof. Nasrullah Khan from the Department of Electrical Engineering, Commission on Science and Technology for Sustainable Development in the South (COMSATS) Institute of Information Technology in Pakistan. In some sense, the article may provide insight on how the smart grid is viewed in the developing world. In addition, it is fair to say that Professor Khan is skeptical regarding the purported benefits of the smart grid outweighing the costs. However, the article states that “communication capacity and speed limitations, cyber security risks, faults and traffic congestions have to be considered prior to rollout.” The primary purpose of the published article is to evaluate technical, economic, societal, and health challenges that the smart grid vision may encounter. The IJRESG article first discusses the technical challenges of the smart grid. Some of these challenges, as described, are quite technical in nature. Power engineers are concerned whether information and communication technologies (ICT) to be made part of the smart grid can successfully be integrated into the “dumb grid” without creating further delays in the execution of trip and control messages. The IJRESG article next discusses social challenges which involve a consumer who will be subjected to a number of threats, including privacy, security, and where the smart grid systems will not be able to deliver the promised benefits. The authors are somewhat sarcastic in their treatment of many stakeholders involved in promoting the smart grid industry, portraying them as basically inept and corrupt. 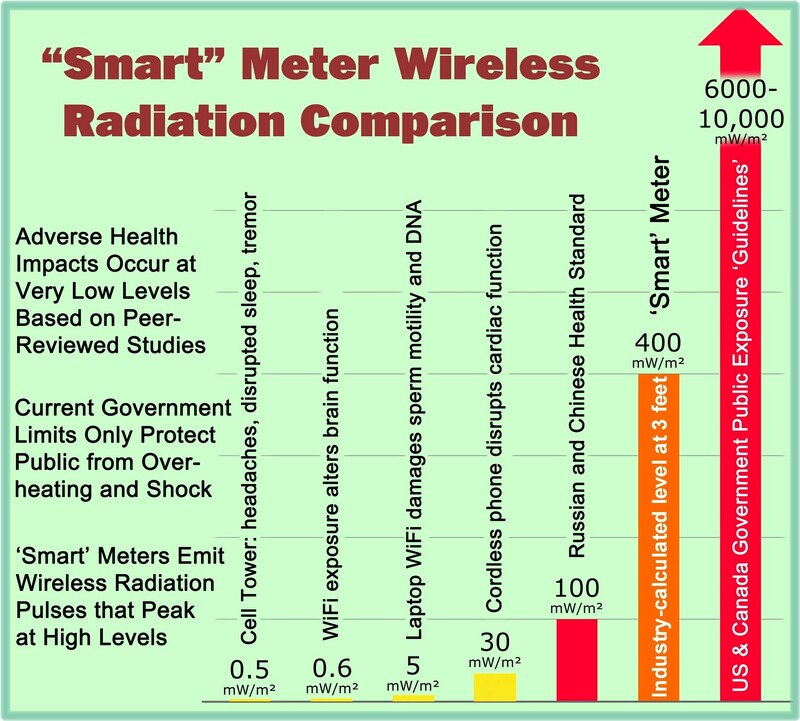 The deployment of smart meters is characterized by the IJRESG article as a “state sponsored business” against the interests of the public and “poor masses.” How can “a jobless man afford to agree to pay $200 for a new smart meter”? “The smart grid notion is fine to certain extent, to deploy communication technologies to conduct live load shedding [as an example], but perception of enhanced generation is misleading as negawatts come from efficiency of machines not from increase in communication facilities. “[E]nforcement of [the] whole package in one go is likely to worsen the problem … as smart grid can not respond as fast as the existing electric grid does. Complete deployment of current smart grid vision might transform the twilight into complete dark. This blog article highlights the content of a peer-reviewed article with selected quotations, courtesy ETP, Engineering and Technology Publishing. The content was presented for noncommercial purposes and in the public’s interest, consistent with the provisions of the Fair Use Doctrine under 17 U.S.C. 107. The original article was published in the International Journal of Renewable Energy and Smart Grid (IJRESG), (Vol. 2, No. 3), October 2013. “A Specter of Logical Challenges Haunts Smart Grid,” by N. Khan, S. Rauf, N. Abas, A. Kalair; International Journal of Smart Grid and Clean Energy, vol. 2, no. 3, October 2013: pp. 383–397; ISSN: 2315-4462; Digital Object Identifier: 10.12720/sgce.2.3.383-397. This entry was posted in Smart Grid, Smart Meters, and RF Emissions and tagged Costs, Cyber Security, Cyber Threat, Smart Grid, Smart Meters. Bookmark the permalink.